Liberto’s story begins in France in 1975 with the idea to make a brand of jeans that was able to gather and transmit the three factors that would make it different from the rest: design, comfort and quality. These factors have always been linked to the seal of the brand, not only for the excellent materials used in each of its articles, but also by the careful selection of trimmings, qualities and details, including its flagship labels in leather or fabric bags , leather goods, shoulder bags and backpacks. Liberto´s design , which began to be manufactured in Spain in 1985 under the name ‘Buenos Liberto’, quickly identified with its legendary logo of the Indian, which is a statement of intent and true reflection of his spirit : free, strong, funny and irreverent. Through this design, our fourth factor born : the character. 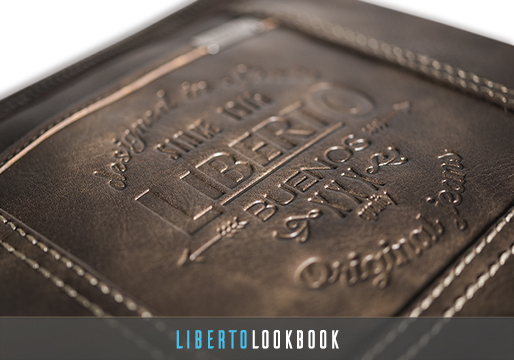 Liberto revolutionized the Spanish market by introducing innovations such as the treatment of his “stone washed” tissues and became a reference brand for its “total look“, going on to become a global brand.